Emerald Isle! 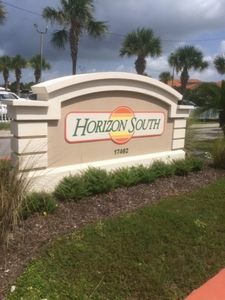 Beachfront: Free Beach Service; Covered Parking;Beautiful Sunsets! 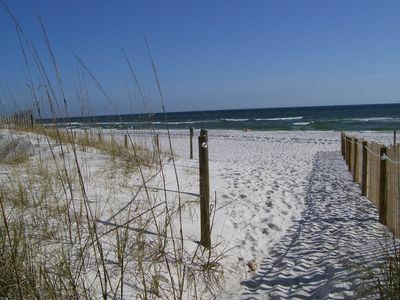 Emerald Isle is on the quiet west end of Panama City Beach about one mile from Pier Park, and near Frank Brown Park. 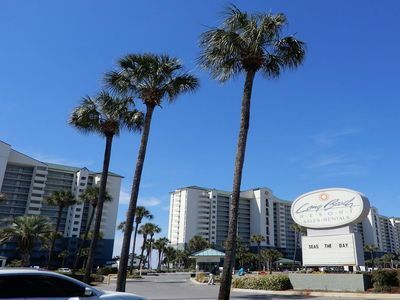 From your reserved and covered parking space at Emerald Isle you can take the elevator to our thirteenth floor condo. 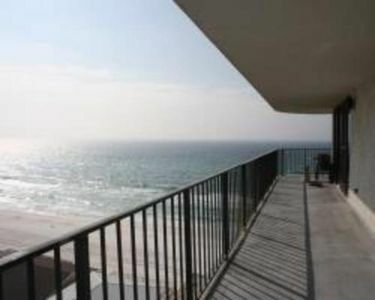 The condo is a corner unit that has been professionally decorated with the beach and relaxation in mind. In the master bedroom you will find a king sized bed which has a pillow top mattress. 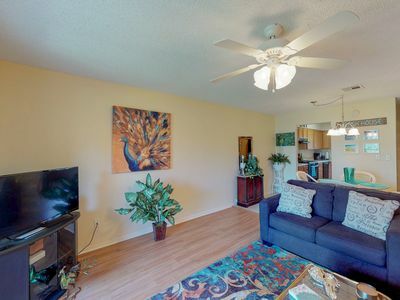 From the master bedroom you can enjoy watching your favorite program on a 27' color TV or a movie on the DVD player. 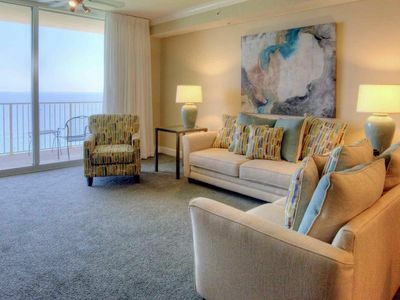 The master bedroom opens onto an oversized balcony for taking in the view of the beach and the gulf. The guest room has a queen sized bed, and also has a TV and DVD player. Both bedrooms have an adjoining full bathroom. In the living room there is a queen sized sleeper sofa, a 32' color TV, a DVD player and a stereo. 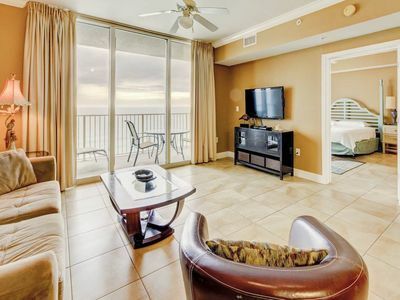 The living room also opens onto the balcony. 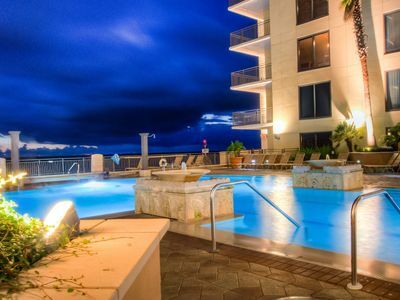 The kitchen has granite countertops and is stocked with all of the appliances and cookware you will need for preparing great meals, to be enjoyed on the balcony or at the dining table which seats four. The counter between the kitchen and dining room is roomy and has three bar stools. 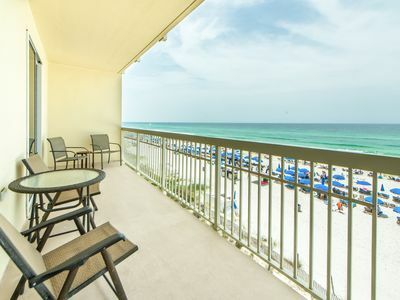 When you return to your condo from a day on the beach you can enjoy a beautiful sunset, and view of the gulf from the balcony as you sip a cool drink before dinner. 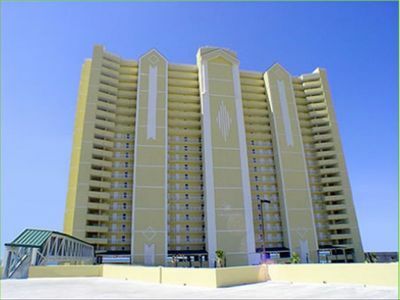 Emerald Isle has an indoor heated pool and an outdoor pool beachside. 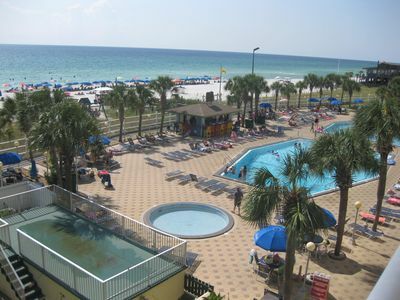 There is a large hot tub, steam room and sauna in the pool area. The pool pavilion also features two gas grills. Our condo has a covered and assigned parking space. It also has a phone, WIFI, air conditioning, cable TB, refrigerator with ice maker, washer and dryer, and all cooking utensils. 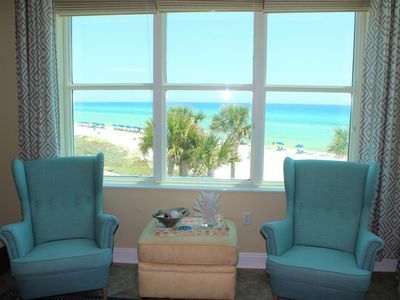 All linens, beach towels and two beach chairs are provided. 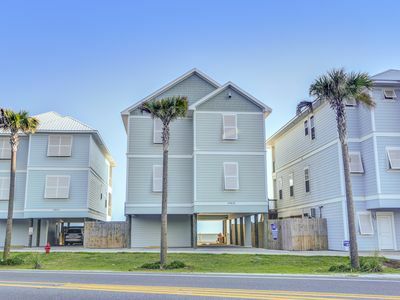 Emerald Isle is one mile west of Pier Park which abounds with dining and shopping. 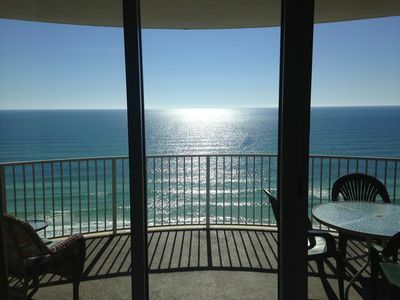 Tidewater 0415 - Don’t miss your spring vacation. Book now! 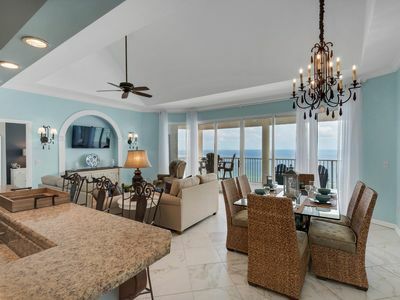 Ocean Front - Breathtaking Views!! 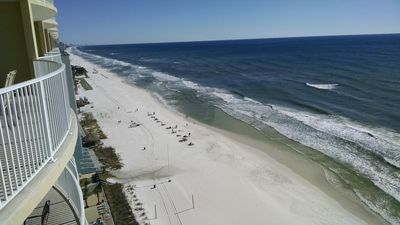 Two FREE Beach Chairs Included in 2019!!! 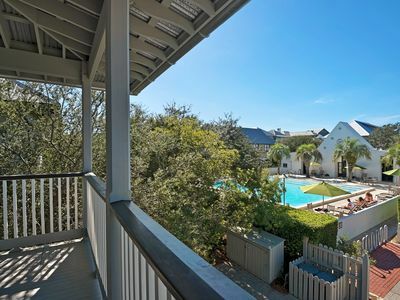 Ideal Rosemary Location-South of 30A-Overlooks Coquina Pool-Steps to Beach! 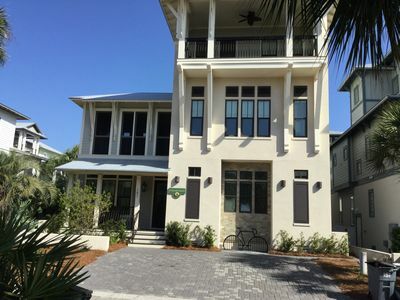 Beautiful Home with Private Pool - 10% discount for August 2019!! Aqua 201. 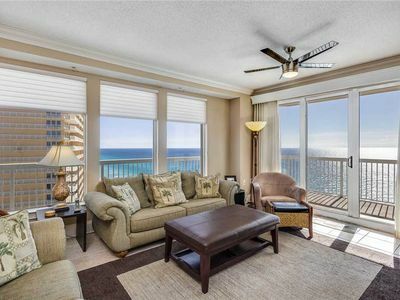 Gorgeous Updated Oceanfront Corner Unit. 1823 sq ft. Sleeps 10. We would enjoy having you as our guest? Seychelles 1601 - Don’t miss your spring vacation. Book now! 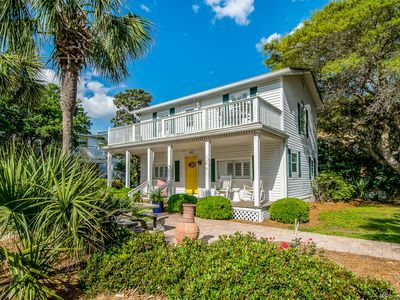 Cozy Inlet Beach Cottage; Steps from GULF/Rosemary; Gulf Views; Pet Friendly! 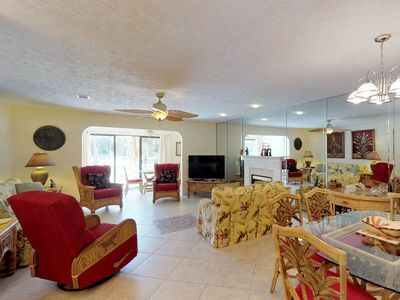 Conveniently located condo w/shared pool & tennis - on-site golf, walk to beach!